With the hotel Marias Platzl and the restaurant “Ayinger in der Au”, we are writing a whole new chapter of the Platzl history. 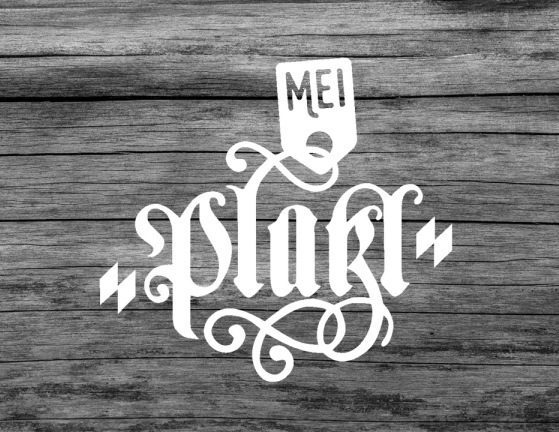 But let’s start from the beginning: In 1780, the name “Platzl” was first mentioned in the annals. Initially, the word “Platzl” indicated a square-like street expansion in the historic centre of Munich. Later, locals abbreviated the name of the Grand Restaurant Platzl located there and called it simply “Platzl”. The “Platzl” was also home to a legendary theatre, which enjoyed its heyday at the beginning of the 20th century. Back then, great Munich comedians like Karl Valentin or Weiß Ferdl were practically fixtures on the Platzl stage. During World War II, the “Platzl” was severely damaged. Investors were not interested in the dilapidated building, until, in the beginning of the 1950s, the couple Franz and Maria Kreszenz Inselkammer took the financial risk of a reconstruction upon themselves. The owners of the small brewery “Ayinger Privatbrauerei”, located just outside of the city’s walls, successfully revived the Platzl theatre. A few years later, the completion of the Platzl Hotel followed. 20 years later, and not least due to the the Olympic Games of 1972, the hotel business in Munich had become more competitive. Peter Inselkammer senior, youngest son and manager of the Platzl Hotel back then, knew that it was only possible to stay on top of the business through innovation and development. In 1978, he commissioned the redesign of the hotel. After the works were completed, the Platzl Hotel ranked high among the trendsetting hotels in Munich. Today, the same holds true, simply because those responsible have always and still continue to keep pace with changing times without abandoning the traditional and enduring values of the family Inselkammer. When the baton was passed on to Peter Inselkammer junior, the management of the Platzl Hotel remained in the family. Since then, the hotel has invested in several new projects; and with this innovative spirit, the Platzl Hotel is still one of the leading hotels in Munich. After a numerous reconstruction works between 2015 and 2018, the Platzl ensemble now includes a fully renovated hotel, a redesigned restaurant, a modern Bavarian inn, a new outdoor bar as well as an elegant hotel bar. Due to the renovations, the building complex around the hotel has now reached its limits in terms of space. But we felt that this was not to be the last chapter in the history of our hotel business. That’s why we opened the branch at the Mariahilfplatz in 2018. The small yet exquisite hotel Marias Platzl now represents the Platzl values in the Au, one of the oldest boroughs of the Bavarian capital. The name was chosen in remembrance of the first Platzl owner, Maria Kreszenz Inselkammer, and out of respect to the historic ambience at the Mariahilfplatz. A tribute to a great woman and a place steeped in tradition; a name that we associate with our homeland. As a welcome addition, the inn Ayinger in der Au is located right next to the hotel Marias Platzl. It is the first independent inn of the brewery Ayinger Privatbrauerei in Munich. With its typical brewery cellar design, it perfectly conveys our love for the hops and the beer produced from them. An authentic Munich ambience meets a modern interpretation of Bavarian cuisine at the highest level. Bavarian delicacies in a cosy atmosphere – get a taste of authentic inn tradition in Munich. Wonderful open-air ambience in winter or summer – enjoy it with coffee, cocktails and gourmet delights. Timeless elegance and Bavarian “Gemütlichkeit” (a cosy and relaxed atmosphere) – the perfect place for a cool drink and warm conversations.